New to this group but appreciate the value of a good forum. Curious what the Isuzu experts might be able to tell me. Been looking for the right rig for a Cummins R2.8 build and just found it. Had narrowed it down to the Trooper and FJ80, finally found a Trooper with a good body and interior. What is the axle width? Is the transfer case any good? I don't really want the auto. Any known manual swaps that work well where I might not have to change T-case and drivelines? Passenger side offset on the front driveline, correct? What is the rear axle in the 2001? ratio? 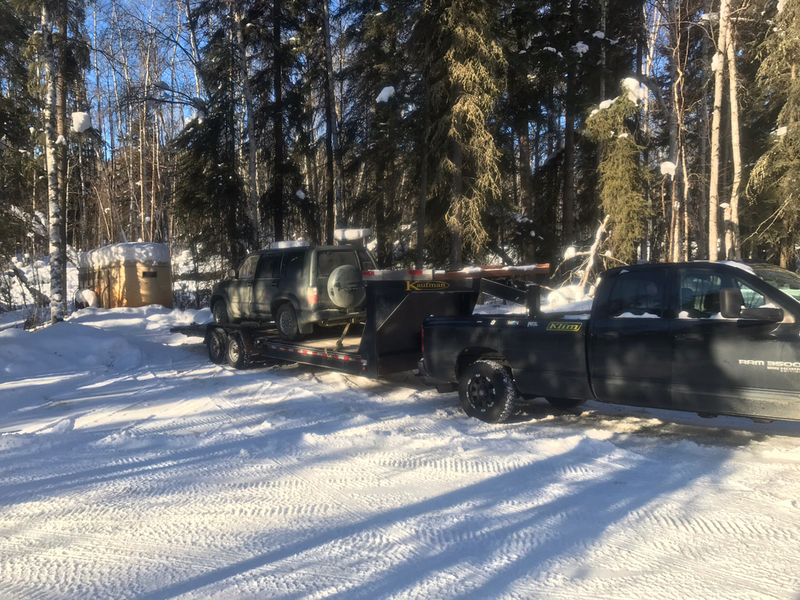 It sounds like the rear axle is pretty good, so if I can find the right trans and passenger side t-case combo (Toyota R150?) I might be able to keep the Isuzu front and rear axles. Need to figure out what gear ratios would work. Isuzu must be a quiet corner of the forum? Picking up the Troop today and will get a measuring tape on it. Still curious on axle ratio. I’ve heard 4.3, 4.5. Not sure what it should be on a 2001 Auto. Auto is trash in these, 4L30e. No way behind the R2.8. The manual that came in these is the AR5, a decent unit, which can be found, but autos were way more common. Axle ratio should be 4.30 in the 98+, same for manual and auto. Picked her up this morning. Bought her sight unseen. 120K on it. Body and interior is really nice, just dirty. Starter is stuck on, which I knew when purchasing. Going to try to jack up motor and replace starter I think just to see how the rig handles and drive it a bit (if the rest works). Undercarriage is jam packed full of mud. . Going to take some serious pressure washing. Going to do a little browsing for an AR5 manual. wish you were not so far away--i have a trooper with the ar5 that has a bad engine and a beat body. i'm in southwest NC. I can ship it. We have to ship everything living up here anyway. Is it a full time 4wd t-case? How many miles on the trans? I’d have to confirm the 2.8 can be adapted to the AR5, but if so that would be a good option. 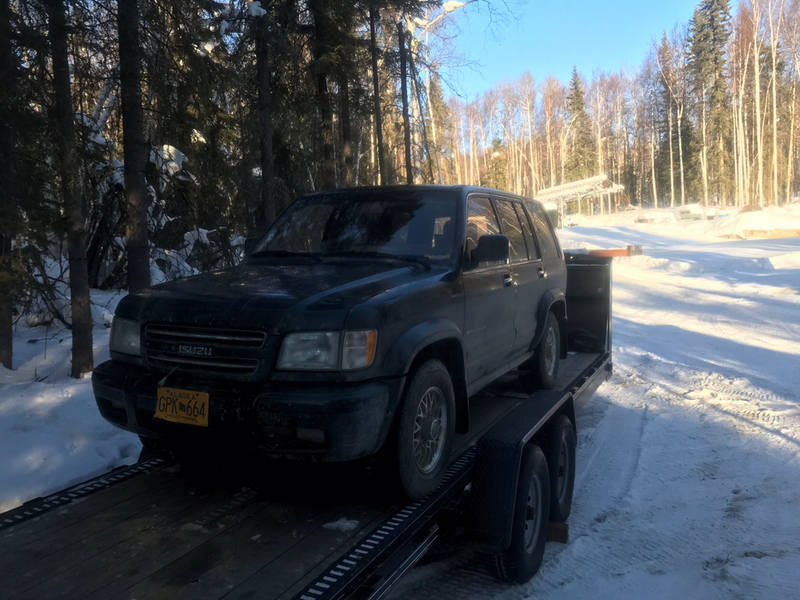 235000 miles on the trans and tcase. part time case. 2hi 4hi 4low v6 engine. 1996 year model you might want to check and make sure the ar5 came in that year. I had a nice reply typed up and lost it. 1st off, apologies, I forgot about the torque on demand (TOD) cases that came in the later auto models. The case is robust but no real 2wd option I guess. They have a vacuum actuated front axle, so that's some other bits to delete/replace. The MUA5 manual in the pre 98 models is just as tough as the AR5, as long as the owner kept motor oil in it and the case as RX'ed and not gear oil. The MUA5 has an integrated tcase, and the models with the auto had an adapter to a removable version of the unit. I believe the AR5 can with that removable version behind it. The MUA5 would likely hold up as well as the AR5 and came with a few bell housing patterns, one of which is the gm fwd 60* pattern, which may be more easily adapted. OD in the MUA5 is .81, close to the trooper version AR5. If you don't need the drivetrain to be Isuzu parts, you probably have way more easier options. Do you need it to be manual, are you keeping the IFS or swapping in a solid axle? What is the main purpose of the rig going to be? There's a lot of manual swap info at planetisuzoo.com forums, they are much more active than this section. Thanks for the info. I’ll check out that forum. I’d like it to be a manual, but haven’t fully ruled out an auto yet either. If I go auto I’d probably go with a 6L80E with a nice tall overdrive. One of the problems with most of the manuals I’m finding is that overdrive is going to be pretty low for the diesel. My preference is to retain the IFS, and thus a passenger side transfer case like Isuzu or Toyota. If I end up going to a solid axle then I’d have all sorts of options and probably end up with a whole Jeep drivetrain. Rig is going to be a daily driver, road trip, Expedition, and mild off road rig. I’d like to be able to hit 65 or 70 without the Cummins screaming. 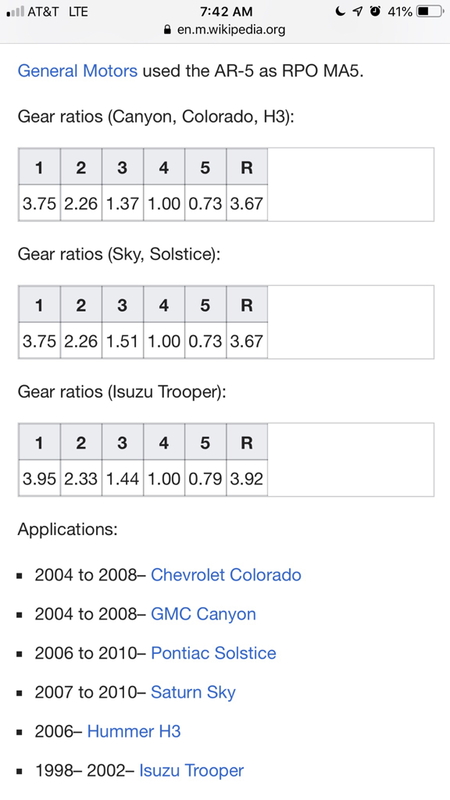 Cummins has a nice gear ratio calculator for transmission sizing. Roger. I think adapting the 6l80 would be awesome, but potentially expensive and a bit of work. They seem to like to communicate only with their original generation motors, but I'm sure the aftermarket is coming around. The 4l60/700r4 is only a 4 speed but the OD is .7. AW4/A340 is like .75. 4WD is not working. Seems like a have a tiny bit of traction on the front but as soon as much torque is applied there is nothing. Tried 4WD Auto, low range, etc. “check” will blink when it’s in 4WD auto for a while. Not sure exactly how the TOD is supposed to work but.. Vaccum line to the axle somewhere to check? Any known fixes or bypasses (security??) that these wires might be doing? The truck has aftermarket non RFID keys which makes me things the security is bypassed somehow..
Last edited by AvalancheAK; 03-08-2019 at 11:36 AM.